At Ausmove we store your goods in their own individual storage modules which are stored in our modern warehouse. This enables us to pack and store your household items securely prior to shipping to Australia. This also gives you the option of delaying your shipment should you not require them immediately in Australia. 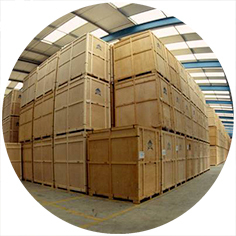 We store your goods in secure individual storage modules, safely tucked away in our modern warehouse. No exposure to the elements, protected by burglar alarm systems and state-of-the-art fire control and protection systems. Contact us to discuss what storage options you need for your possessions. We pack your possessions perfectly, transit them to our secure storage, and look after them until your ship comes in. Then, we supervise loading of your container onto that ship- seamless care for your possessions. Then, we unload in Australia and ship directly to you – or, we can put into storage at your destination if required. This gives you options for when you arrive in Australia. Can’t find a permanent house? That’s ok, just give us a call and we can delay shipment. Even if we have already shipped your goods, we have a service partner in Australia that can store your goods for you too. Whatever your situation, we are happy to help find the best solution. So when you need storage in NZ, Australia or both, give us a call. With secure and safe storage and complete flexibility, we offer you the best options to suit your needs. Want a free storage quote?